Hotel Amanda is a boutique family friendly hotel situated just 300 m from the beach of Neo Karlovasi within easy proximity of Samos city centre. The newly built hotel is located on the scenic island of Samos features a sun terrace, a garden and free Wi-Fi, inviting guests to enjoy a comfortable stay with warm Greek hospitality. 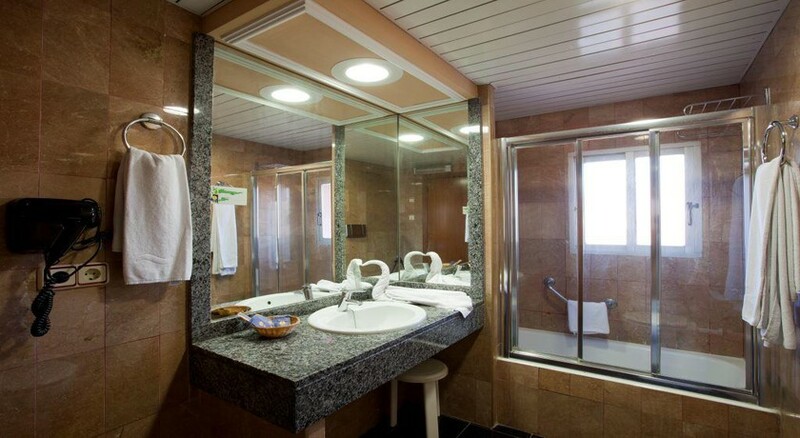 Spacious, air-conditioned rooms with private balconies offer gorgeous sea views and come equipped with facilities like a telephone, A/C, central heating, fridge, satellite TV and private bathroom with hairdryer. There is a room service available for 12 hours. 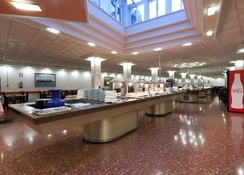 The hotel serves a daily buffet breakfast and public parking is available nearby. Karlovasi is famous for several pretty beaches dotting the shore connected by the tiled exterior paths; Palio (old) Karlovasi, skirted by picturesque houses and narrow streets and Potami, the lovely sandy beach are all to be found here. The famous Greek poet Yiannis Ritsos is said to gaze into the sea and compose many of his works here. The town is home to many ruins of tanneries, remnants of its golden past as an industrial town and there is a tannery museum too. Karlovasi is a small town on the western part of Samos, and also home to a small port. There’s a lively crowd thanks to the students of The University of the Aegean. The hotel is situated just 300 m from the beach of Neo Karlovasi within easy proximity of Samos city centre. The fine Potami Beach is 700m away. The Laographical Museum of Karlovassi is 700m away. The distance to Samos International Airport is 21.8km. Contemporary, well-appointed rooms, newly built, welcome guests for enjoying a comfortable stay with amazing Aegean Sea views. Spacious, air-conditioned rooms with private balconies offer gorgeous sea views come with telephone, A/C, central heating, fridge, satellite TV and private bathroom with hairdryer. There is a room service available for 12 hours and wake-up services. Hairdryers and iron and board are available upon request. 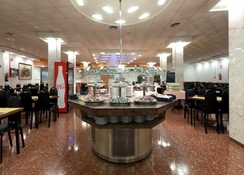 The hotel serves a sumptuous daily buffet breakfast. Guests can order breakfast in their rooms. There is a snack bar that serves delicious refreshments and drinks, as well as light bites. Good cafes and restaurants are nearby. 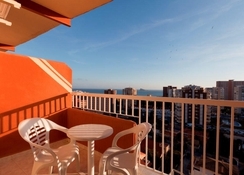 There is a sun terrace where guests could soak up all the sun. The beach is just a few minutes’ walk away. 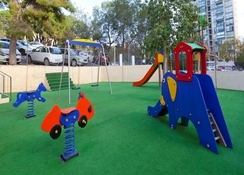 Tourist information and car rental can be arranged by the hotel front desk. There is a shared TV and lounge area where guests can socialize or watch sports events. 24-hour front desk Outdoors sun terrace Terrace garden Snack bar Non Smoking Rooms Lift heating Air conditioning Room service laundry (additional charge ) Car Hire Fax/photocopying Luggage storage Shared lounge/TV area Daily maid service Free! WiFi is available in all areas and is free of charge. Free public parking is possible at a location nearby (reservation is not needed).